Julio "Chocolate" Algendones is one of the essential percussionists in the great tradition of Afro-Peruvian music. Peru's Master Percussionist collects recordings made in 1990 in Las Vegas, during a trip that the artist made as a member of Peruvian jazz group Perujazz. The album was produced by the Englishman J. Blue Sheppard and released in 1991 by the New York-based label Lyrichord. It also includes a track originally recorded and published in Lima, in 1984. This reissue on Buh Records presents the material in remastered form and, for the first time ever, in a vinyl edition. Peru's Master Percussionist combines festejo rhythms, of Afro-Peruvian origin, with the polyrhythms of the Santeria rituals of Haiti and Cuba. Using congas, kalimbas, seeds, and cajon, Chocolate embarks on a journey towards the original Yoruba sounds, of African roots. The cajon (a percussion instrument representative of Afro-Peruvian culture) is incorporated into the hypnotic, trance-inducing rhythmic repetitions that Chocolate generates. In the end, Perujazz makes an appearance with a discharge of avant-garde jazz, in a culminating moment, to close a creative and exceptional circle, which at the same time is the perfect summary of a career that led Chocolate to move in the heart of Afro-Peruvian culture and on the edges of the avant-garde jazz. 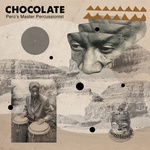 This album is a masterpiece that presents Chocolate in the fullness of his virtues as a master percussionist, as a musician who transcended all classification, who inspired many and whose creative impulse has found its place in an area where Afro-Peruvian culture, Santeria, and the avant-garde converge. Peru's Master Percussionist inaugurates the series of Perspectives on Afro-Peruvian Music. The Collection which will reveal some of the best-kept secrets of black rhythms of Peru. Artwork by Peruvian collage master Yerko Zlatar. Includes Spanish-English liner notes.